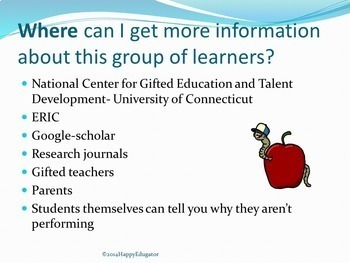 Academic Achievement and Gifted Underachievers PowerPoint. 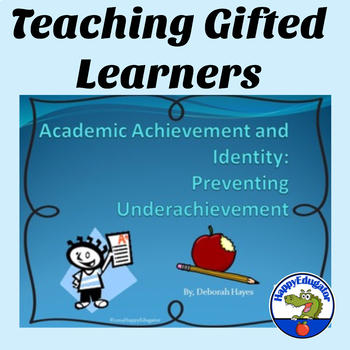 Explains the characteristics of a gifted underachiever, concerns about gifted underachievers, and how to help underachievers become successful. 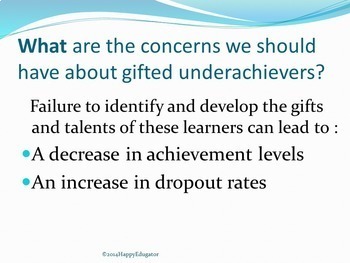 Suggestions for motivating students and famous underachievers. 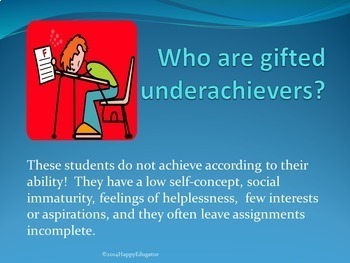 Helpful for gifted teachers who have students who are not motivated and who often have incomplete assignments.